As the second day of Davos 2017 draws to a close, here’s a quick recap of some of the day’s key moments. Just 48 hours before leaving office, US Vice President Joe Biden made an impassioned plea for the global community to “act urgently to defend the liberal international order”. “For the past seven decades, the choices we have made – particularly the United States and our allies in Europe – have steered our world down a clear path,” Biden said. A day after Chinese President Xi Jinping took to the Davos stage to warn against making globalization a scapegoat for all the world’s problems, Biden acknowledged that globalization had “not been an unalloyed good” but stressed that international trade and greater integration had lifted millions of people out of abject poverty, improving education and access to healthcare in the process. One solution to this, Biden said, is fairer taxation. “The top 1%’s not carrying their weight,” he said, calling for a progressive tax system where top earners pay more. 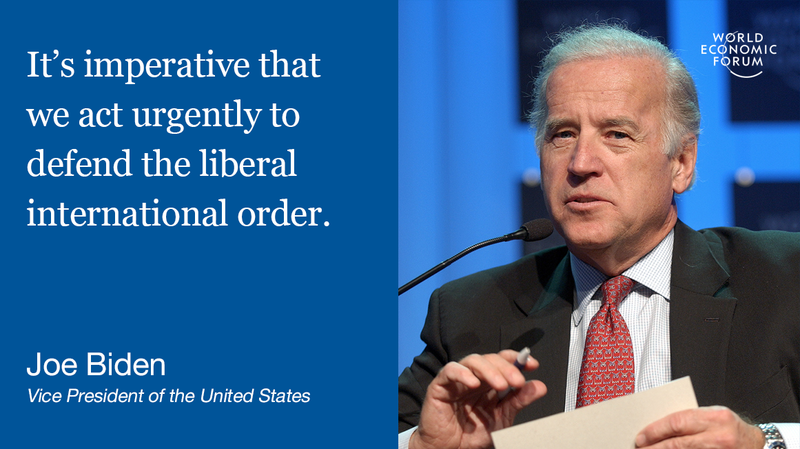 You can read Vice President Biden’s speech in full here , or get some more key quotes on issues like trade, Russia’s role in the bitterly contested US election, the future of Europe and the importance of NATO. Once the linchpin of developed economies, the middle class is now threatened by job losses and stagnant wages, paving the way for the rise of populism. So, what’s the solution? This was the topic of discussion in a session featuring the IMF’s Christine Lagarde, who said there was no silver bullet to deal with the problem, but – like Vice President Biden earlier in the day – she stressed the need for fairer redistribution of wealth to address inequalities. 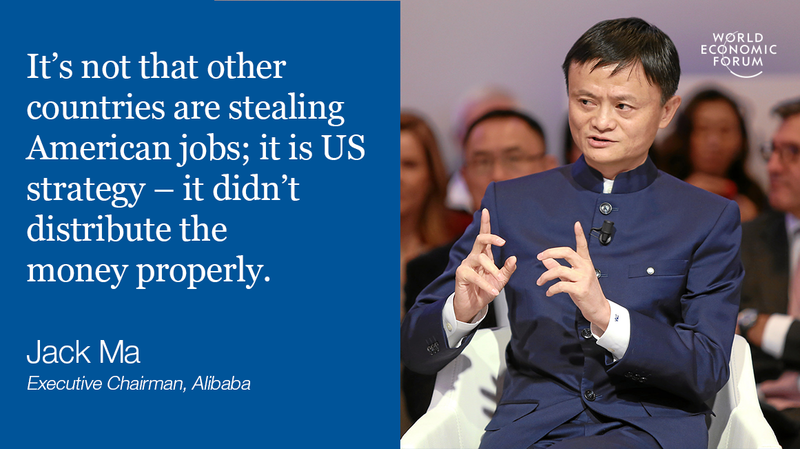 In one of the final sessions of the day , Jack Ma, founder and CEO of internet giant Alibaba, spoke out about America’s growing globalization backlash. “American international companies made millions and millions of dollars from globalization,” he told participants. 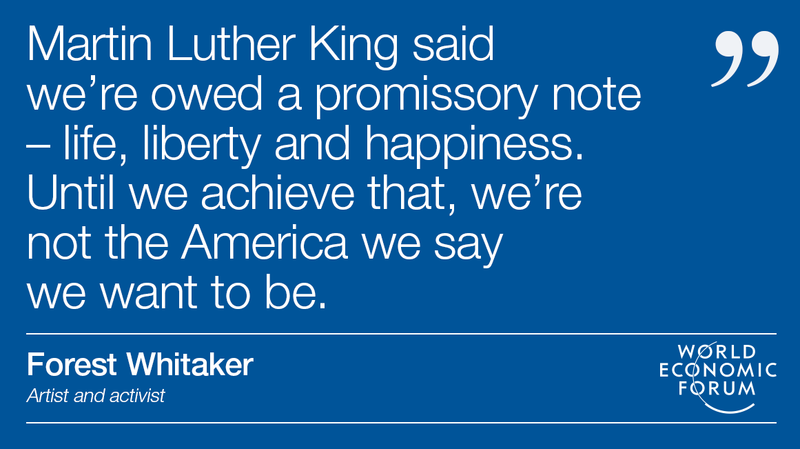 But that wealth was never distributed fairly, which explains the sense of anger many Americans are feeling. But instead of throwing up the walls and introducing barriers to trade, the US should work on reforming globalization. Read more on this session here . 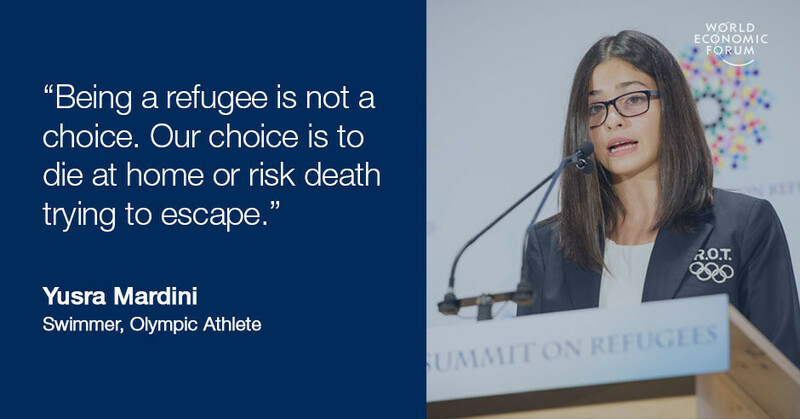 Yusra Mardini is the 18-year-old refugee who fled her home in Syria, saved the lives of 19 people while crossing the Aegean to reach Greece and went on to represent the Refugee Olympic Team in Rio. Following up on her recent article for our blog, Agenda , Mardini took part in a Facebook Live interview with us in Davos to draw attention to the plight of refugees all over the world, the transformations we can achieve through sport, and what makes a good leader. “My main goal in my life is to do what I’m doing right now. To represent refugees in a good way, to show everyone that refugees are people who can achieve like anyone else in this world, and to win an Olympic medal… a gold. Watch the Facebook Live interview here . The UNESCO special envoy is in Davos to talk about his work in peace-building and conflict resolution in Mexico, Africa and the United States. But in a televised interview with broadcast journalist Zeinab Badawi, the conversation turned to race and inequality in America, both in film and on the streets. Read our full summary of the session here . 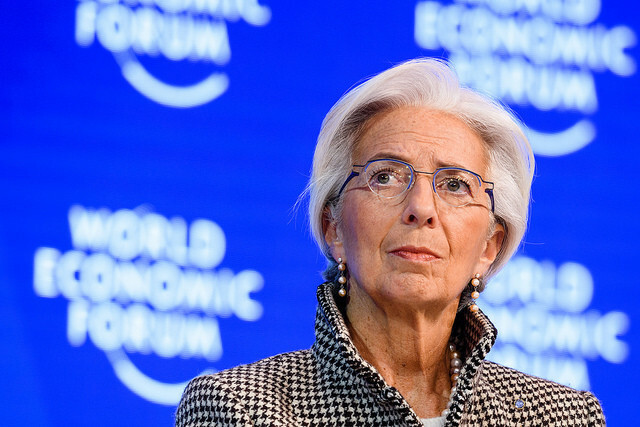 Christine Lagarde also shared her thoughts on the world’s glacial progress towards gender parity in a session on disrupting the status quo of gender roles . “We have been talking about it for as long as I can remember,” she said, noting that, according to World Economic Forum research, it would take 170 years for the economic gender gap to close , with the rate of progress stalling in the wake of the financial crisis. It’s official, 2016 was the hottest year ever, the third time the record has been broken in as many years. It’s a worrying trend, but there’s still time to roll back the worst effects of global warming and avert cataclysmic climate change. One of the positive signs is the plummeting cost of renewable energy, something former US Vice President Al Gore talked about in this session on following through on the promises of the Paris climate agreement. Meanwhile, over on our blog Agenda, seven Davos experts, including Al Gore, answer the question – what’s the one thing that needs to be done now to fight back against climate change? “I meet my enemies, I meet the problem, I meet the solution,” the chef and food activist said in a one-one-one conversation with Ariana Huffington . Oliver talked about his campaign to tackle childhood obesity and diabetes, but said Brexit led to a “missed opportunity” to overhaul nutritional standards in the UK. We should also be concerned about the poor quality food that rich countries are shipping to the developing world, where nutritional-related diseases like diabetes are on the rise. These are problems that corporate giants could help solve, however. “There’s lots of challenges at the moment and food’s at the heart of it, and I do think that big companies can be part of the solution.